Andie had it all planned out. When you are a politician’s daughter who’s pretty much raised yourself, you learn everything can be planned or spun, or both. Especially your future. Important internship? Check. Amazing friends? Check. Guys? Check (as long as we’re talking no more than three weeks). But that was before the scandal. Before having to be in the same house with her dad. Before walking an insane number of dogs. That was before Clark and those few months that might change her whole life. Because here’s the thing—if everything’s planned out, you can never find the unexpected. And where’s the fun in that? You have to try. You have to take your chances. Go and attempt and see what happens. And even if you fail - especially if you fail - come back with your experience and your hard-won knowledge and a story you can tell. And then later you can say, without regret or hesitation... 'Once, I dared to dare greatly’. 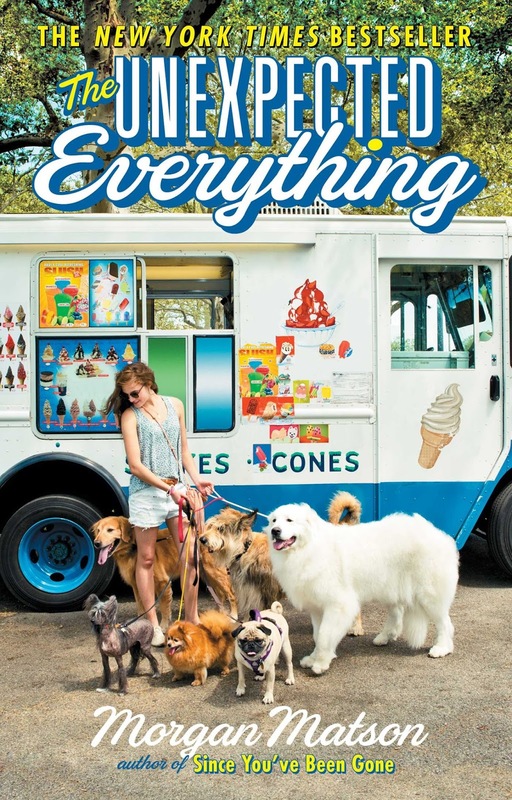 When I picked up The Unexpected Everything I was prepared for cheesy summer romance. And that was not a bad thing, because well - it is summer and I was in the mood for it. I had never before read anything by Morgan Matson, but I’d heard great things and I thought I’d try it out. She did not disappoint. I really liked this book. In hindsight I wouldn’t even label it as 'cheesy summer romance'. It’s not. I probably wouldn’t even label it ‘romance’. Oh, don’t worry. There’s a love story alright. But Morgan Matson found the perfect balance between fluffy contemporary and something on a deeper level. There is a lot more to this book than the cute boy waiting for you to fall in love. Andie Walker is in many ways a very privileged girl. Her dad is a congressman and she is used to living her life as the perfect daughter. Great school results, a career in med all planned out and a couple of the best friends in the world. Her life should be really great. But when summer starts everything she had planned so carefully falls apart when her father gets accused of committing fraud. And here’s the thing. Yes, she probably still had it better than many other people in the world, but her problems felt very genuine and I felt a lot of sympathy for her. I liked Andie. She ends up spending her summer walking dogs. Of all things - she ends up as a dog walker. I liked that. The absurdity of it. She was not a girl fit to walk dogs, but she made the best of it and even enjoyed it. And you know, if you’re looking for tips and tricks to raise a dog you probably shouldn’t pay too much attention to whatever is mentioned here. But is was nice. So was watching her fall in love and seeing her learn to let go and live in the moment. It's always a risk. Wherever there is great emotion. because there is power in that. And few people handle power well. The characters are all portrayed in a very honest and unpretentious way. Authentic. They’re not special. They’re not incredibly hot or extremely talented or… They were just normal and a lot of fun to be around. I loved this. Friendship is one of the most important themes in the book. The power of having people care about you, but also learning who you’d be without them. And they were all so very easy to like. They formed the kind of bond everyone spends a lifetime being envious of. And no, it wasn’t sunshine all the time - but that’s real life. And then there is the family aspect. Andie and her congressman father have grown apart over the years. When they are forced to spend the summer together because of the ongoing investigation in the fraud case, it is really awkward to be around each other. But over the summer they learned to reconnect a little. It surprised me just how much I liked Andie’s father. It was impossible not to connect with him. He was just as much trying to find his way as his daughter. Clearly the downside of having a theoretical crush on someone you knew nothing about was the crashing realisation that you actually knew nothing about them. Finally - of course, the love interest. This is by far not my favourite part of the book. Don’t get me wrong, it was good. It’s just that everything else was better somehow. But I did really love Clark. He is a professional fantasy writer - I mean seriously, how could I not? He was absolutely adorkable and that’s a nice change. He wasn’t confident on the verge of arrogant, or cocky or rocking the superstar-body. No, Clark was a very regular (but attractive) guy with a certain easiness, awkwardness and modest charm that made him 100% boyfriend material. So - if you want a good read with friendship, romance and lots of summer vibes, this is the right book for you. I definitely recommend it. I love Morgan Matson's work! Since You've Been Gone is my absolute favorite contemporary by her - you should really check it out as well. 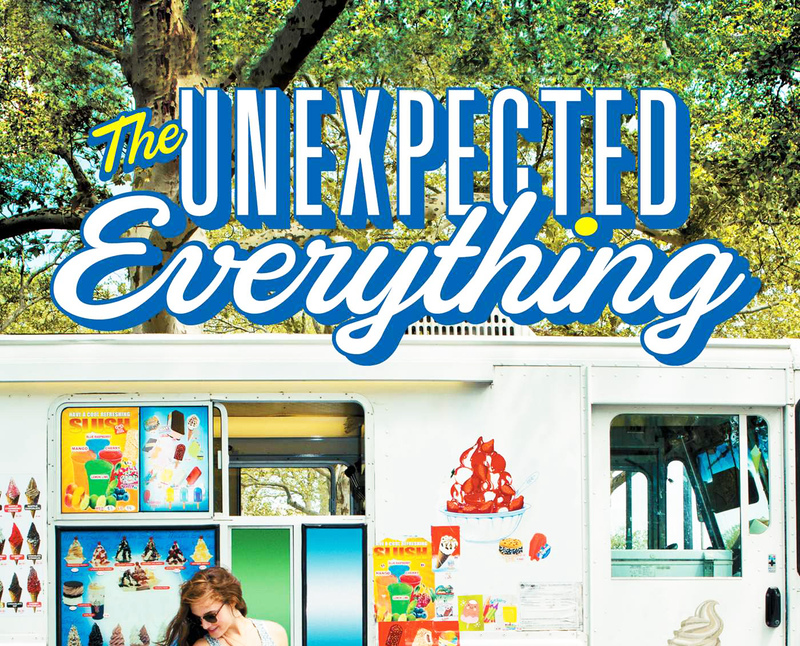 The characters from that book made a cameo in The Unexpected Everything. Unlike a lot of other book boyfriends, Clark felt really normal to me. Like not the super hot or super smart guy that makes you swoon every time he's mentioned. I liked that for a change. He definitely had to grow on me but in the end I did like him. This book is definitely a new favorite of mine! Since you've been Gone is on my summer TBR! I'm really excited to start it. Obviously I didn't notice the cameo, but it's nice that she does this! Ah, this book was really good.